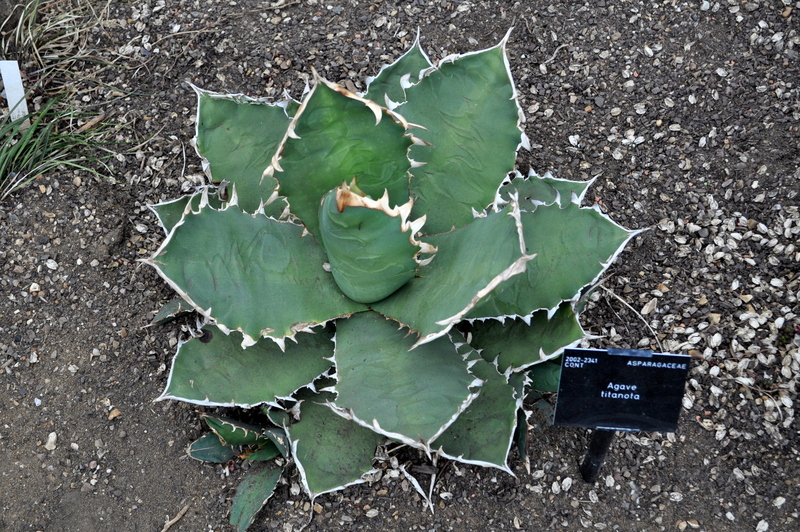 A Grand Day out: Kew Gardens – Part 1. So we arrived at about 11am on a Thursday Morning, it was cool, damp after some night-time rain and quite overcast. I’ve had to manipulate some of my pictures as they came out a bit dark due to the low cloud cover. 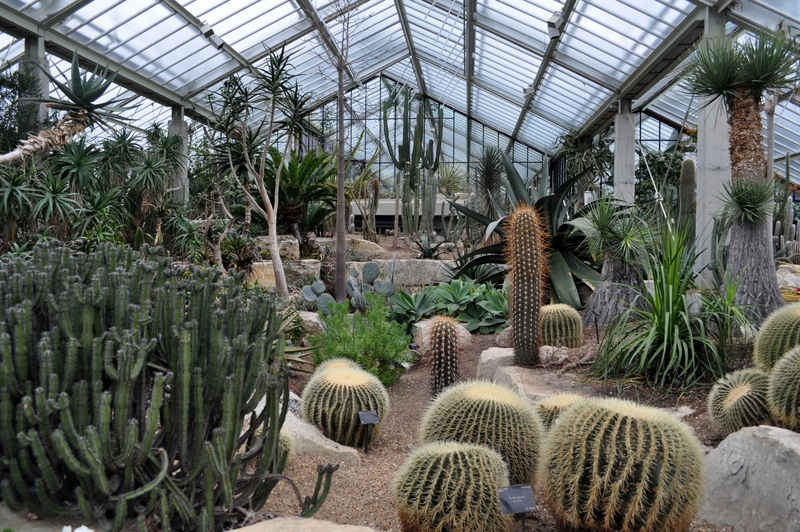 The first Glasshouse visited was the Princess of Wales Conservatory. 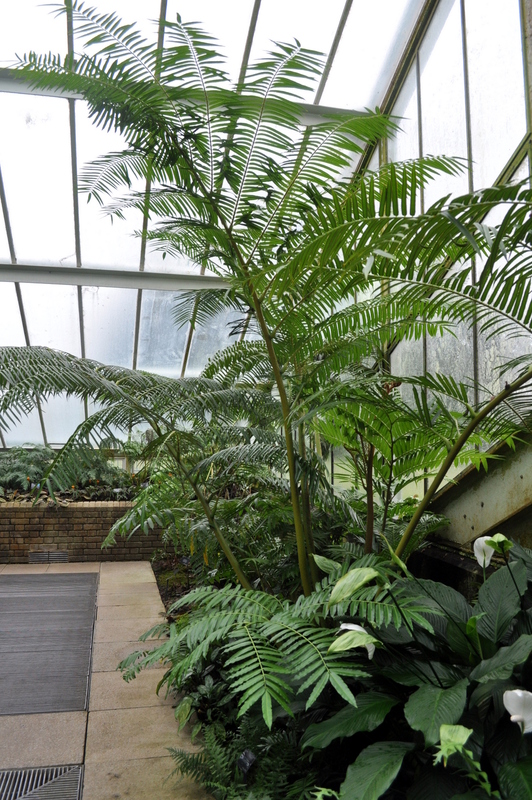 The Princess of Wales Conservatory was opened in 1987 by Diana, Princess of Wales. 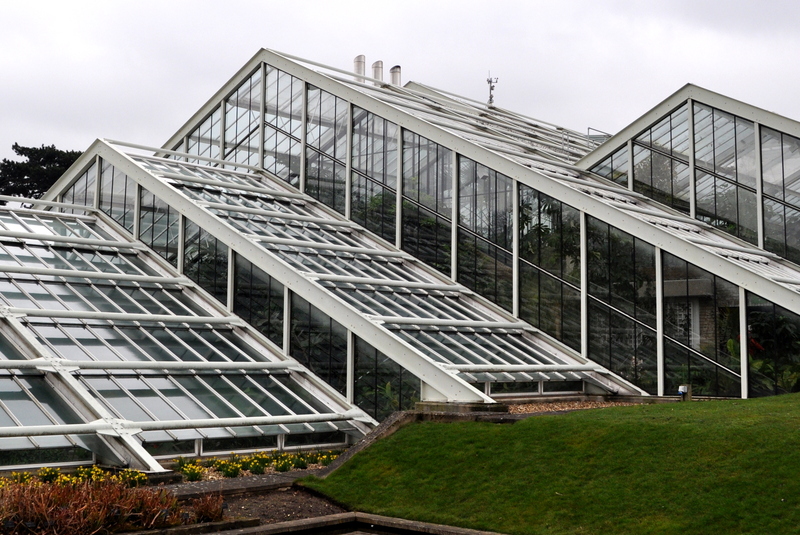 It is the most complex greenhouse at Kew, containing ten computer-controlled climatic zones under one roof. 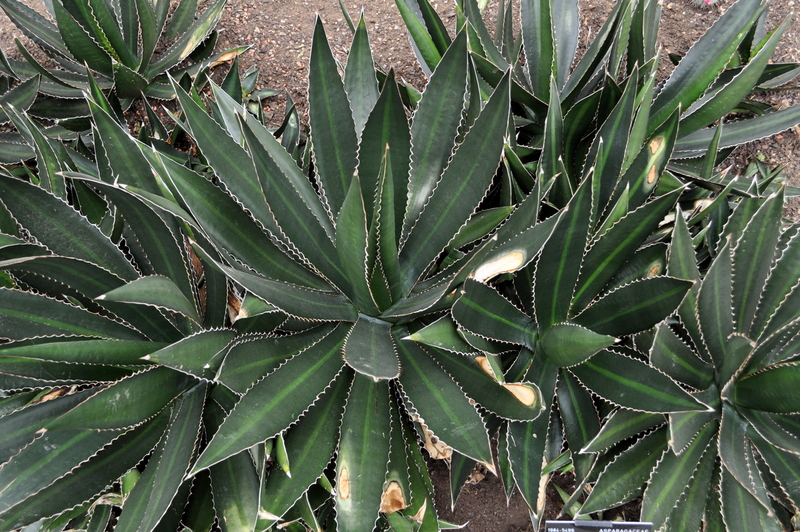 The two main climatic areas are the dry tropics, representing the world’s warm, arid areas, and the wet tropics, which has moisture loving plants from rainforests and mangrove swamps. 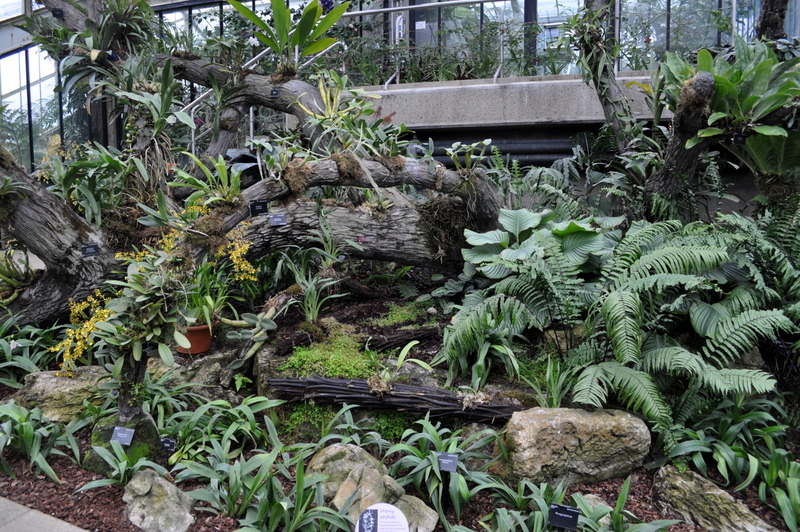 The eight remaining zones include a seasonally dry zone containing desert and savanna plants, plus sections for carnivorous plants, ferns and orchids. 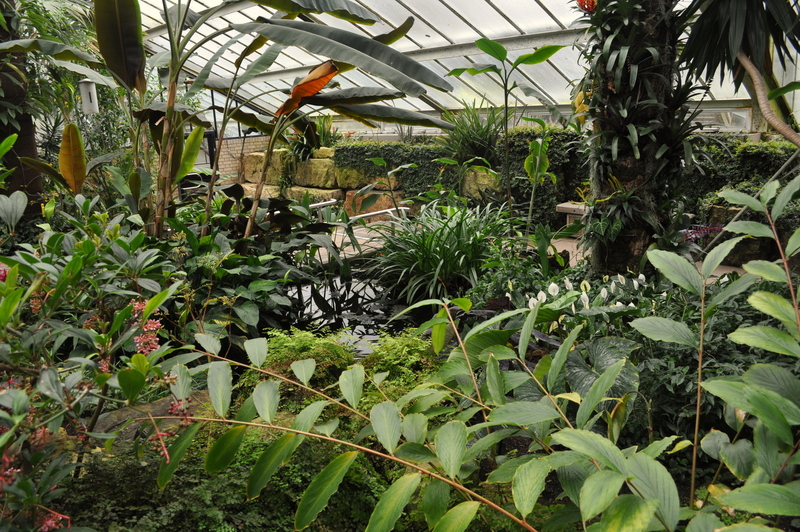 The Princess of Wales Conservatory was designed to lie low in the Landscape. The first Micro-Climate upon entry is the Fern Zone. 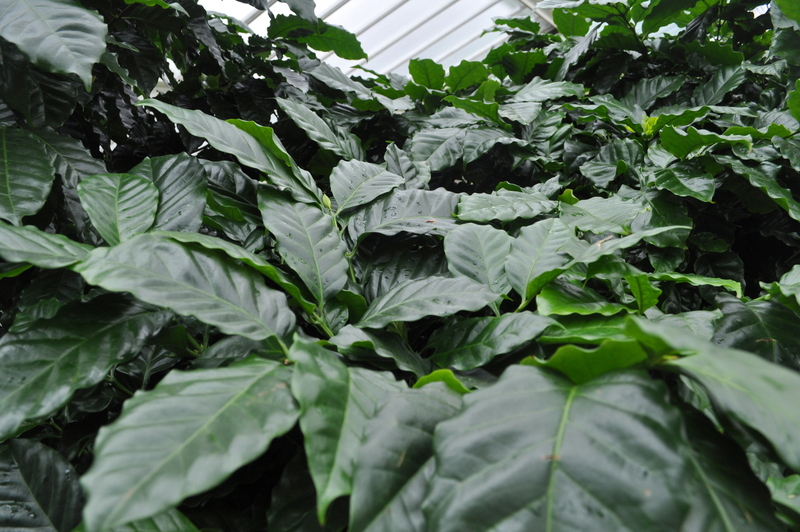 There was also a small Coffee plantation, with lots of healthy plants. Around another wide pathway were more big ferns..
Lots of room and lots of light. 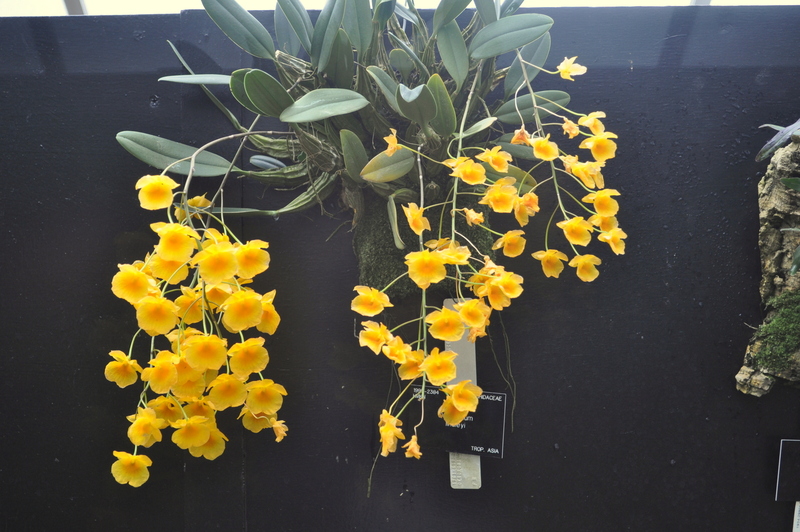 Then on through a glass door into Zone 6 for Tropical Orchids. There were still plenty in flower. 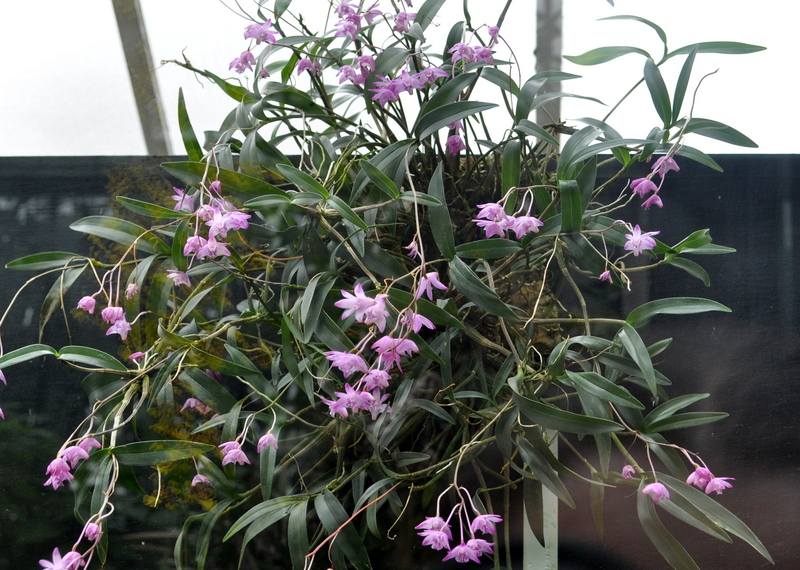 Many plants were on display behind glass screens. We also found a sign that indicated that a bit of carving was done on a dead tree-fern by residents of a group of Tropical Islands called Tuvalu. 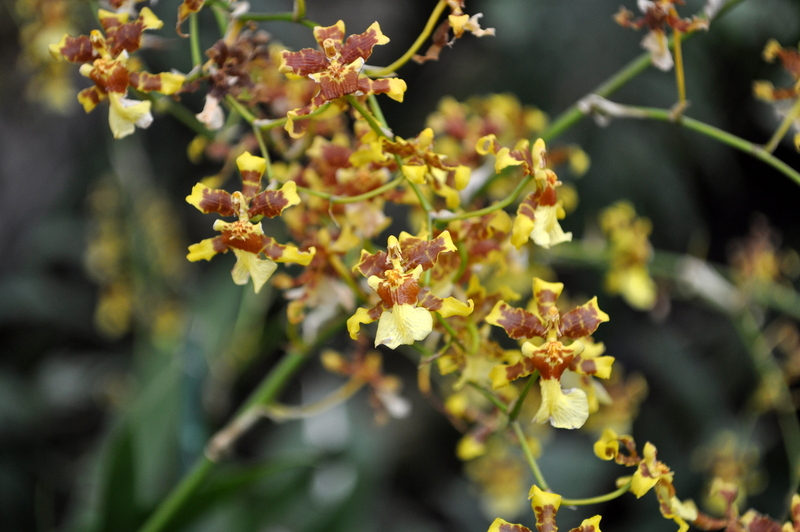 We found many Orchid plants positioned out as you might find them in the Tropics. 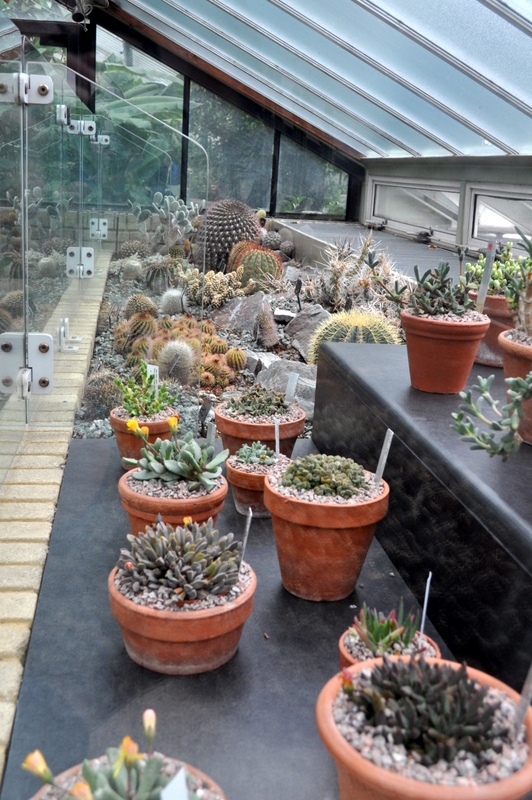 More gorgeous Plants on display behind glass. 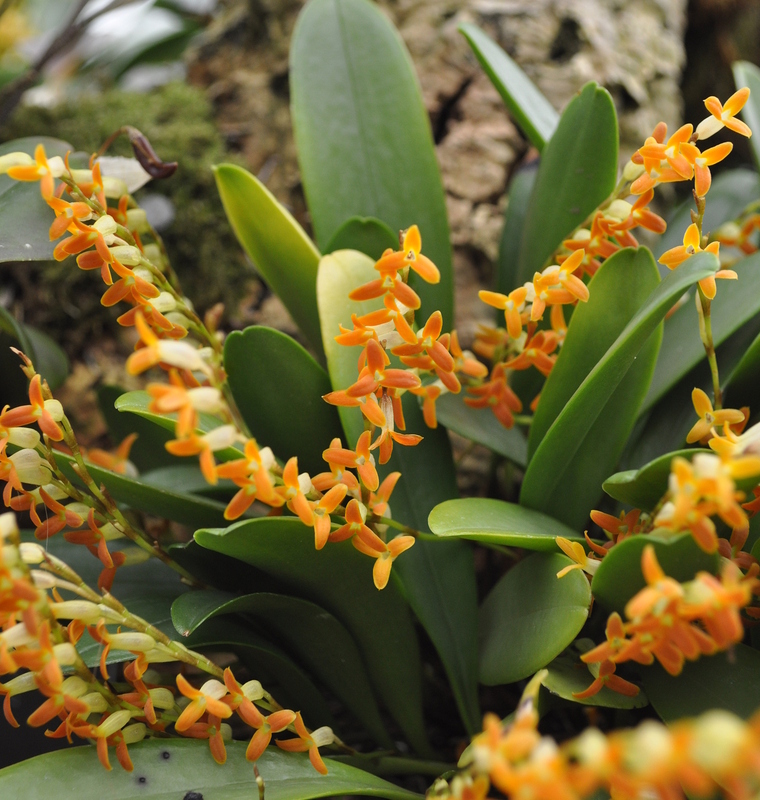 Pleurothallis tubata from Central america. 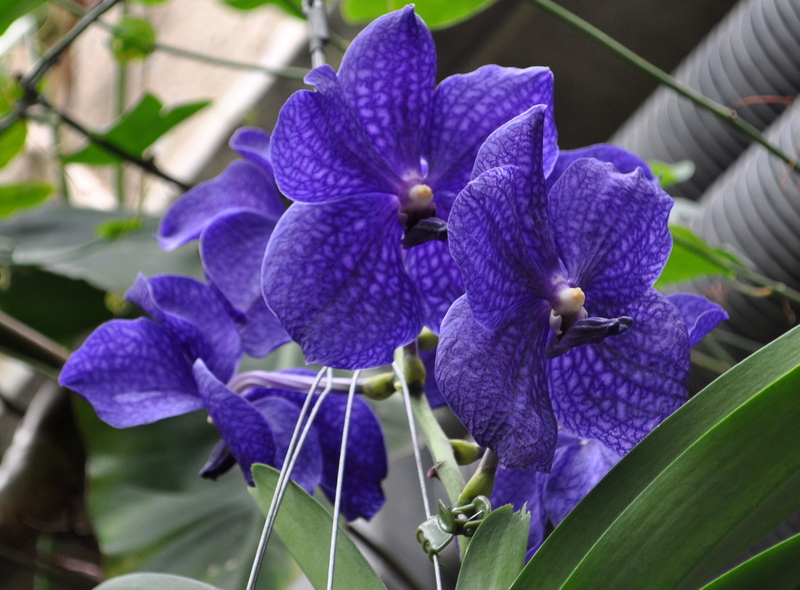 Stunning colours on those Orchids. 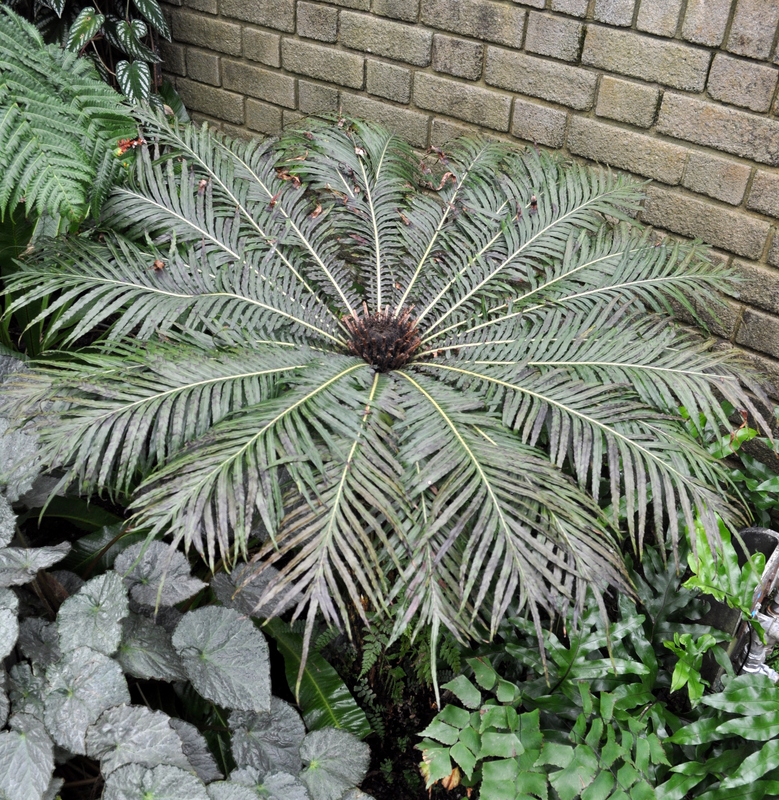 Then in through another door into the main tropical section, masses of plants on every surface, the following pictures are just some highlights I photographed. Titan Arum almost fully in flower, smelt like dog poo to attract flies to pollinate it. 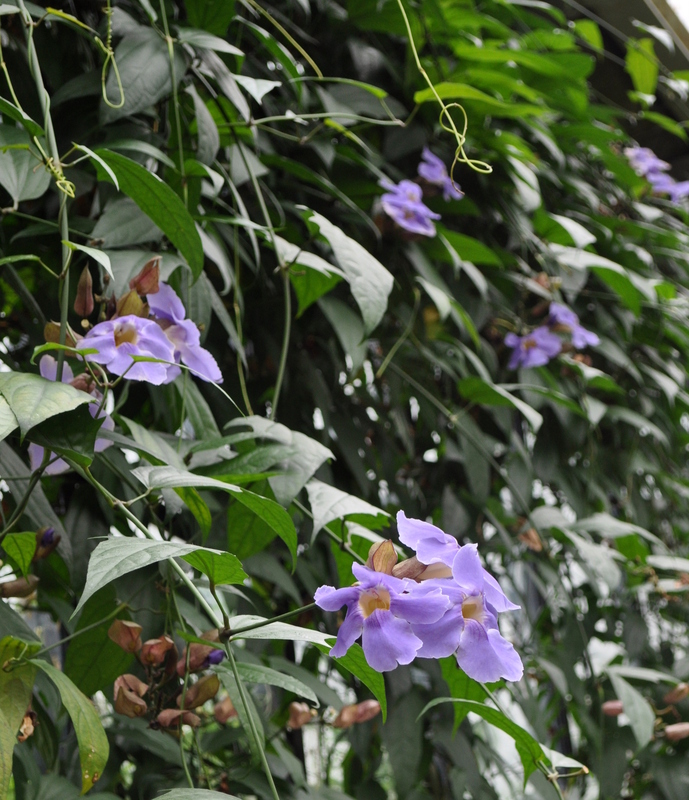 The Climber Thunbergia lavifolia from Indo-china. 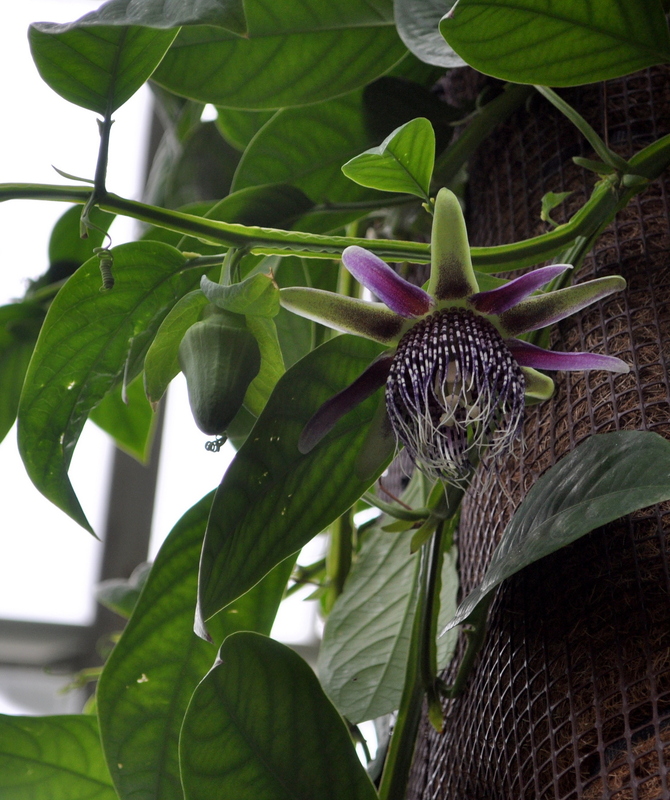 Another Climber, a Passion flower. Now some views across the inside of the area. 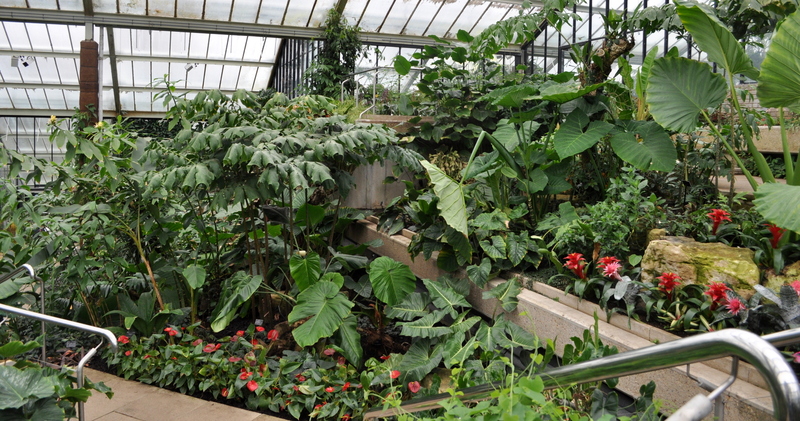 Packed with tropical plants, and everything looked really healthy. Lots of Red Bromeliad and Spathiphyllum flowers. In order to keep the humidity up, there were lots of computer controlled misting units suspended up high, every so often they would spray out a fine mist, and glasses and camera lenses would immediately fog up.! There was also a nice deep pond with the start of a Mangrove swap growing at one side. Helps keep the temperature and humidity up. There were small fish in here. 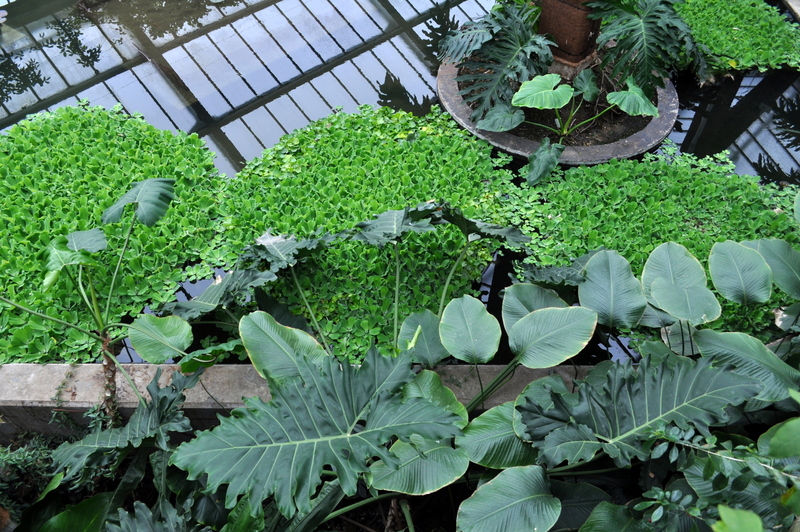 There were several Tropical water plants growing in this pond as well. A Telephoto lens was needed for this next picture. Even in the dull light it practically glowed.! 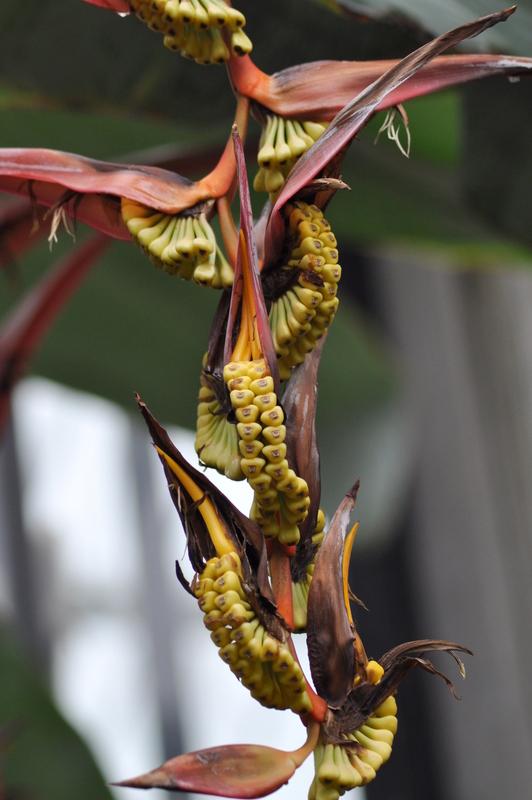 Fruits of the Heliconia collinsiana var. Collinsiana. It resembles a banana plant, but can reach 16 ft tall.! 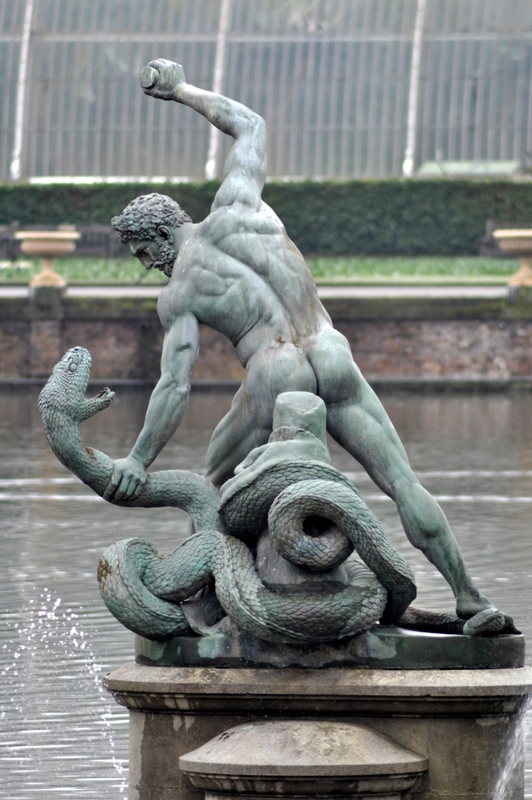 A bit of natural pest control.! 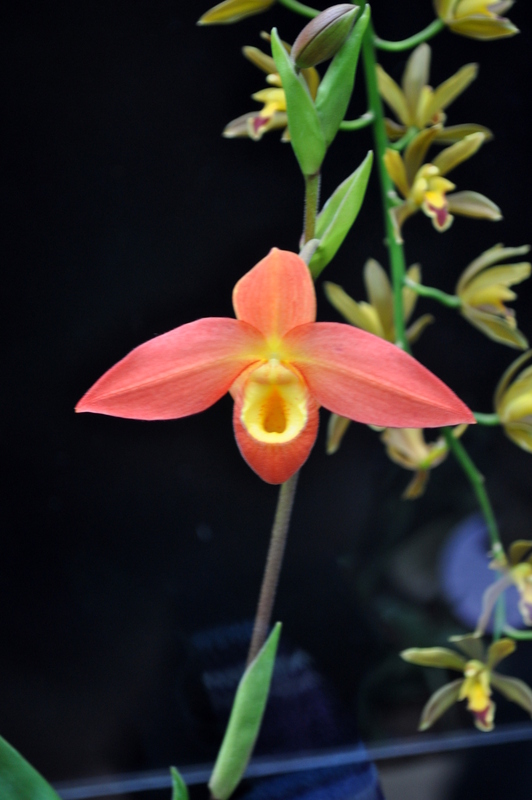 Lets have a look at one more Orchid. 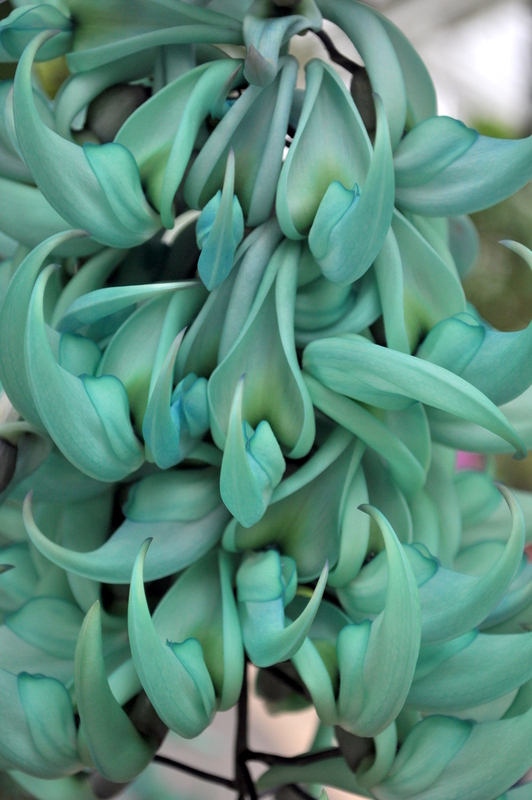 Each stem can exceed a metre in length and display more than 90 flowers and It is pollinated naturally by bats. Onto the last section from the Tropics and on into the Desert section at the Southern End of the complex. 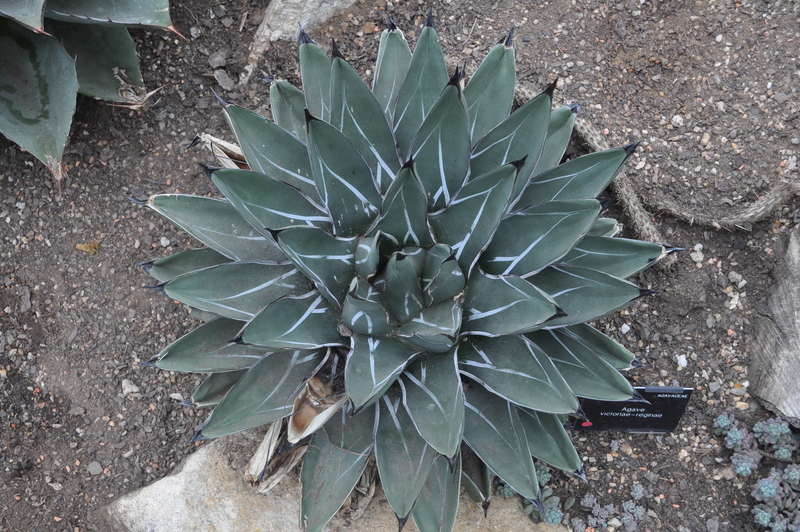 A lot of really interesting plants in this section, unfortunately quite a few unruly children as well, I waited ages for the scream of an impaled child. 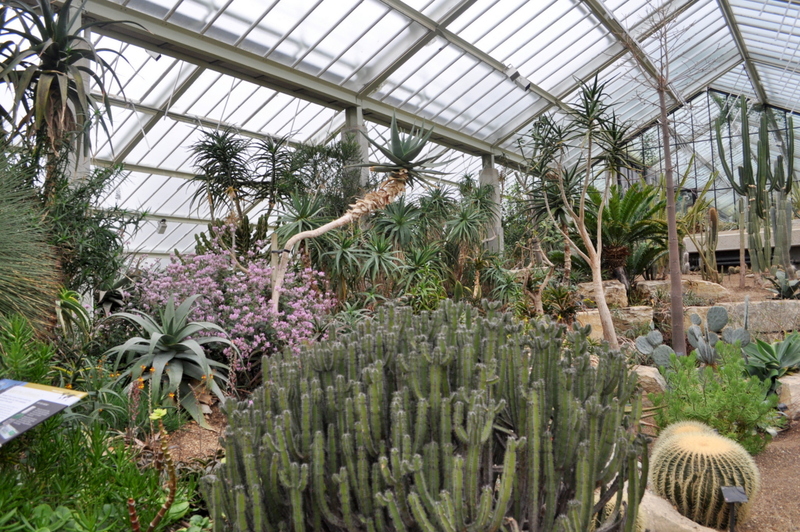 The more rare and highly prized plants were safely behind a clear screen. 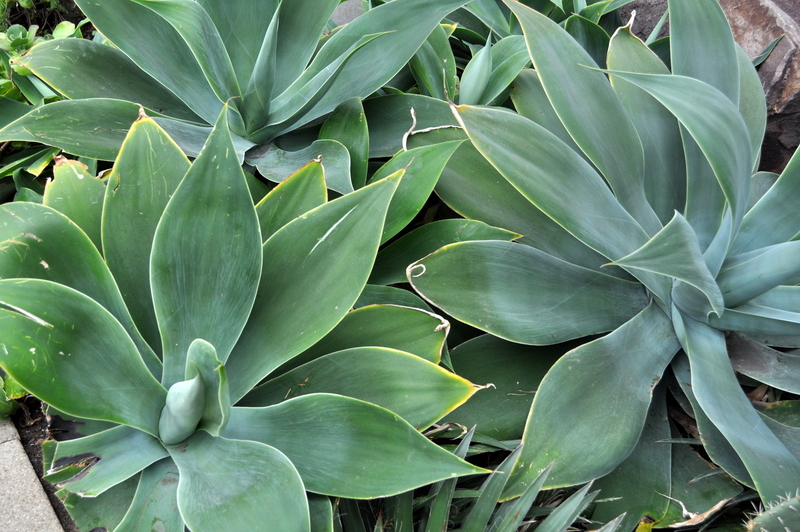 I saw lots of Agaves, and took pictures of them for a certain Pig Farming Agave Lover. 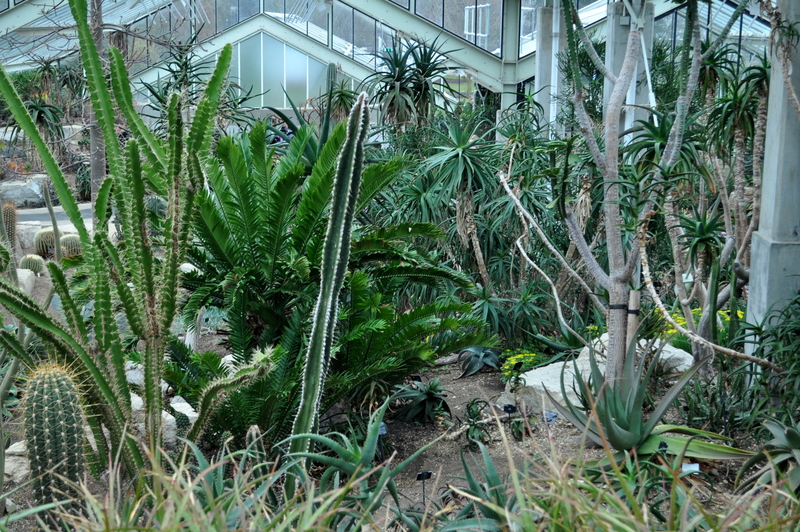 This Desert section of the Princess of Wales Conservatory is mostly heated by the sunlight with additional heating used at night or in winter to maintain a minimum temperature. 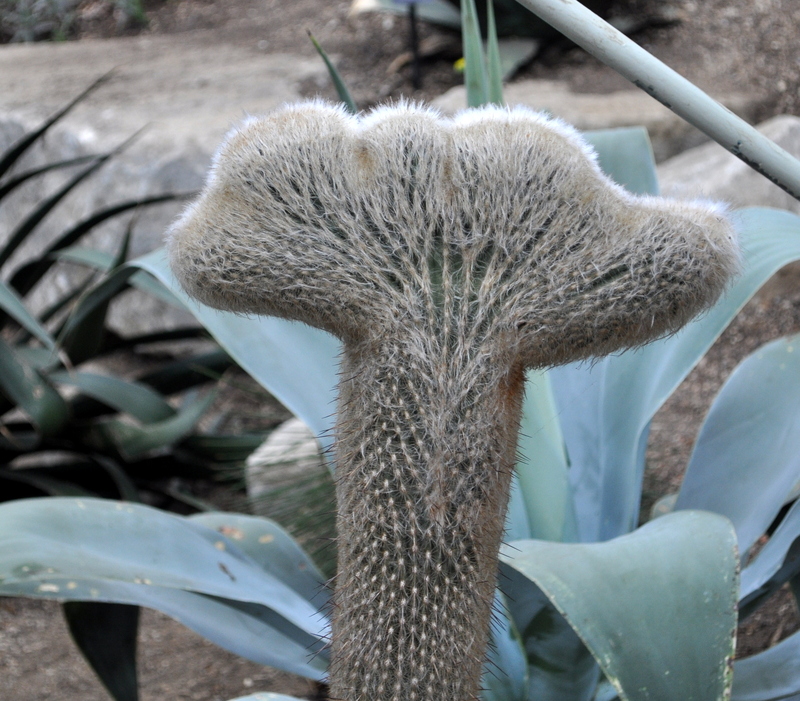 I found an interesting specimen of a fasciation in a cacti. Hammer head.? or squashed in the door.? A bright and airy house,again as the Tropical section, the plants here looked superb and in very good condition. 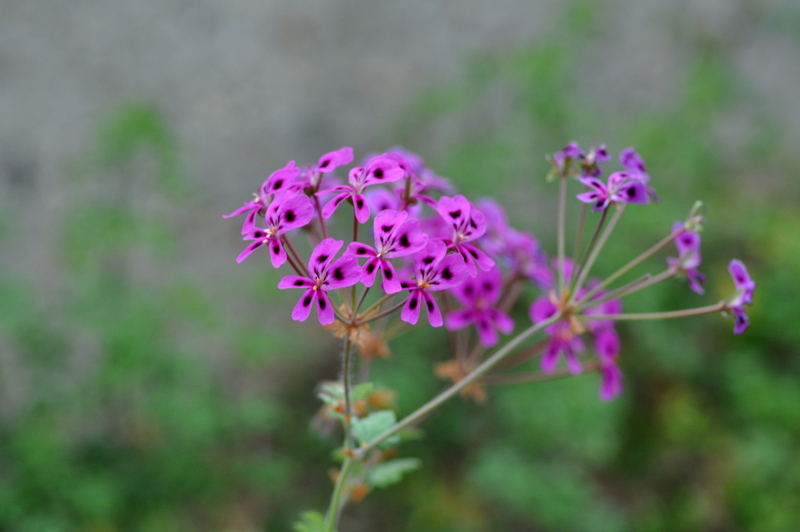 There were quite a few flowering plants here as well, the pink flowering plant in the middle is a scented Pelargonium. 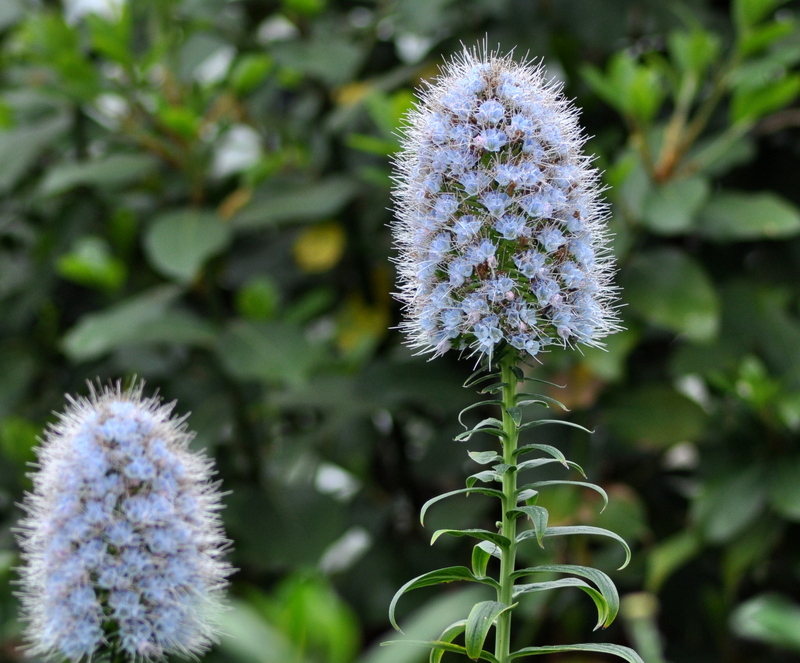 One of my favourite plants here was this Echium, unfortunately it was growing in the middle of a big bed away from the path, so I could not see its label. I took the picture with a telephoto lens. 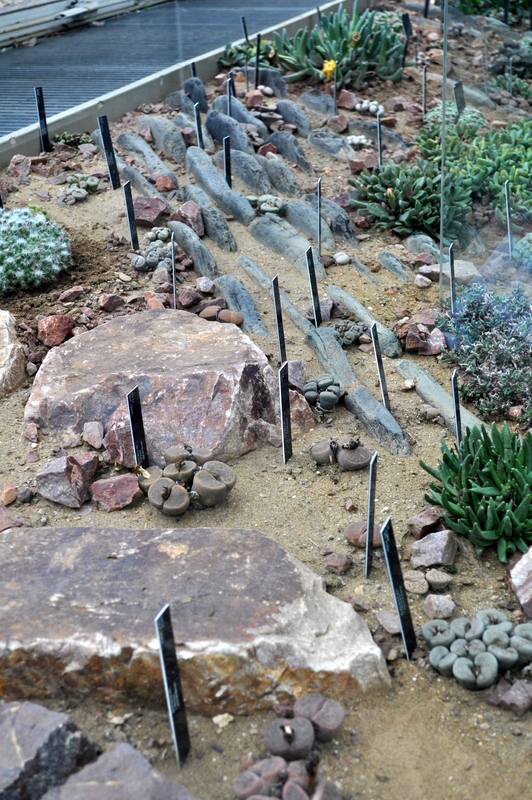 There was a nice collection of Lithops, or Living Stones here, but the were safely growing away behind a security screen. 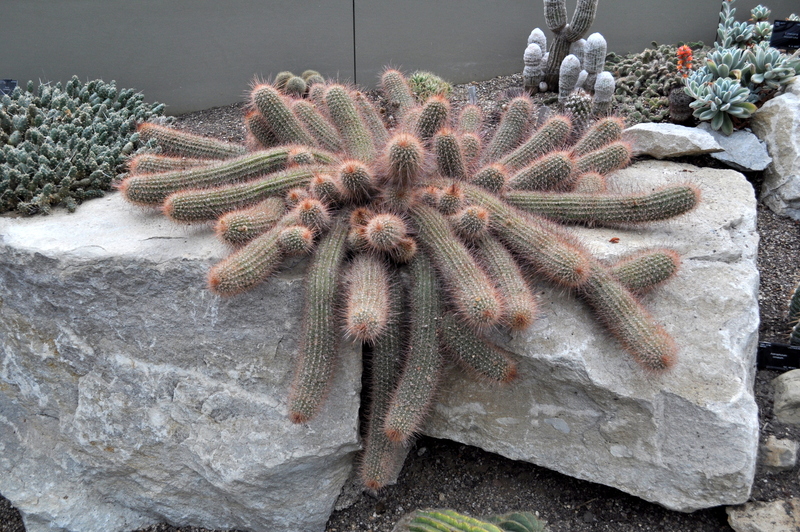 It took a moment to distinguish between plant and stone in some cases. I think the labels gave them away.! Finally arrived at the South exit door, before I went outside I found this small bed of planted up Scented Pelargoniums which revealed this lovely flower. If your still with me after all those pictures, then thankyou. Hopefully not too much text, and just lots of pictures which you enjoyed. 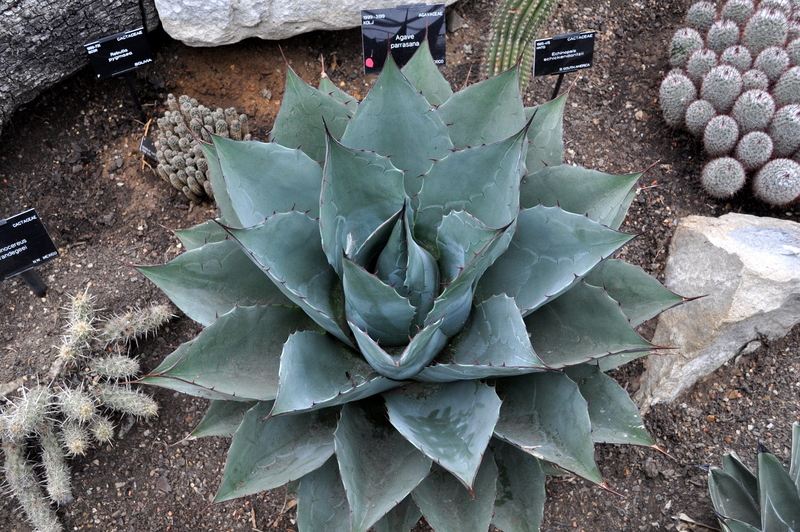 My next few blogs will feature the Alpine house, The waterlily House, The Palm House, The Temperate House, The Xstrata Treetop Walkway, some outdoor shots, Parrots, and an old tree. So until then, here’s a picture of a Brass Bum. 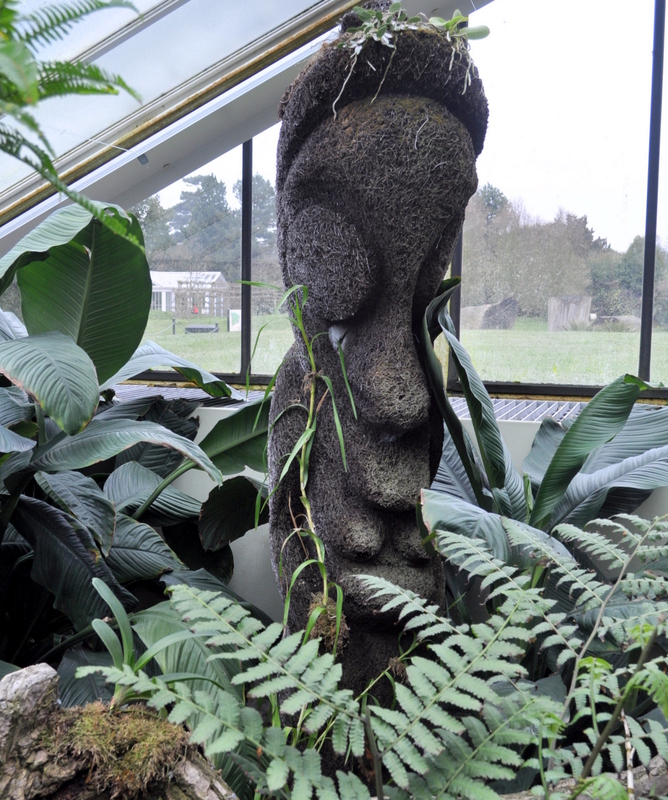 Part 2, Alpine House on to Palm House and Beyond…. 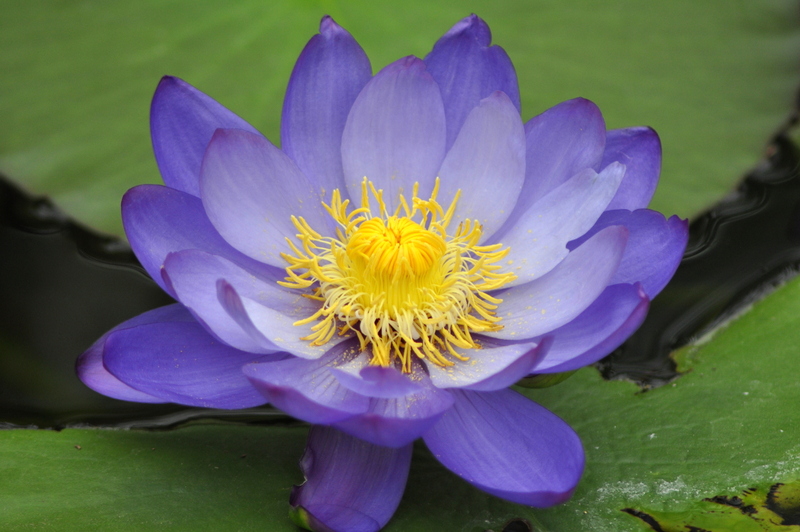 Love the blue waterlily – and the brass bum! 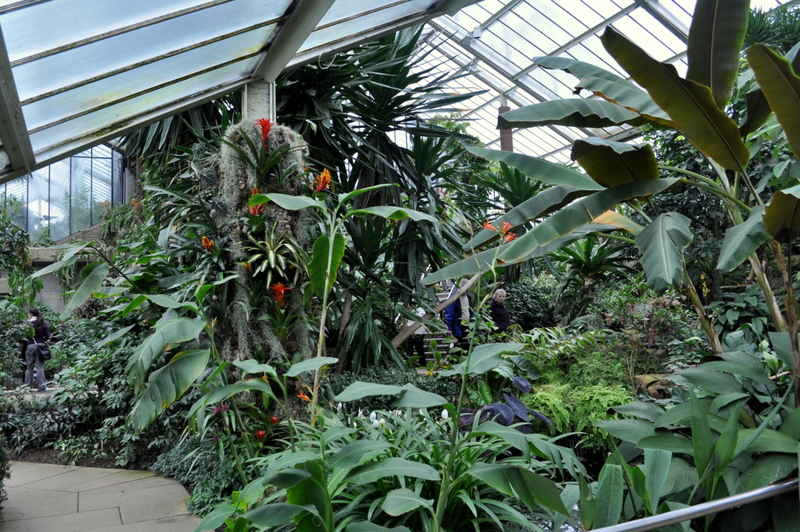 What a beautiful conservatory – I love the blue Thunbergia. 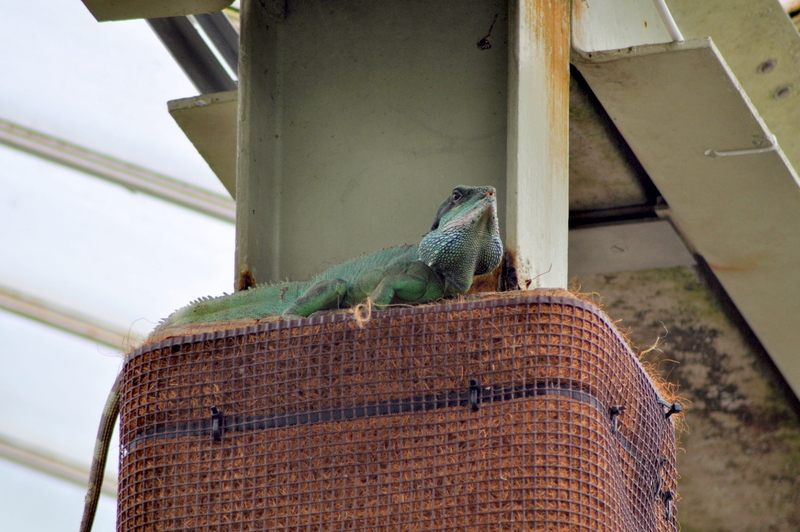 Your photos were a lot of fun; I enjoyed the trip through the conservatory. The text was just perfect, thank you. I look forward to you next post. Incredible, that’s all I can say!